The ‘Shuttles from Budapest’ provide you to never be disappointed with our lovely capital city of Hungary, called Budapest. After your plane landed, allow us to organize your trip to anywhere you would like to desire, being as a simple transfer service from Budapest Liszt Ferenc International Airport to the city – called Airport Transfer Budapest- , a door to door service or even a private tour to discover some surrounded treasures soon. No matter what your destination is since the way must be fast, easy and cost – efficient based on the highest quality service, comparing the booking with other transportation companies. Running our business is first established to fulfil all demands. Being a personal transport provider, we suggest some non-smoking, air-conditioned and even luxurious cars or minivans, arranging your tour spent in comfort. In addition, we guarantee well-mannered, trusty drivers speaking in English – the programs are also available in more languages as English, German, French, Italian, Russian or Spanish – and exact prices without extra charges. Allow us to fix your way from the airport to the hotel, stations, and places of interests or vice versa. Furthermore, private VIP tours could be also organised if you travel in secret. So to sum up, nothing is impossible for the ‘Shuttles from Budapest’. – order it in 24 hours before the transfer date! – to reach your destination at the right time. Our professional private driver will welcome you at the airport guaranteeing you to feel pleasure and convenience in the car. During the booking, please fill the form first to determine what you need precisely. As a well-known step by a step function, you are familiar with, our site also has. 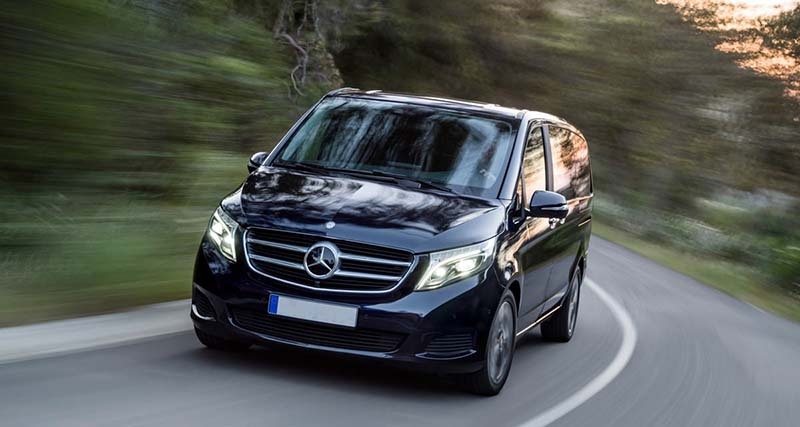 You need to choose the transfer type (from the airport to the city center or vice versa known as Budapest Airport Transfer), the kind of the trip as only one or a round way even select VIP service if necessary. Of course, you must mark the number of passengers. Be careful with this point since the prices will be established based on this question. As an illustration, for 1-4 people the one-way ticket costs EUR 25 (as a single journey, the transfer will happen from the Hungarian airport to your accommodation or from there to the airport as a typical Airport Transfer Budapest service). The round trip consists of a two-way ticket between your hotel and the airport for EUR 47 and the VIP transportation service could be booked for EUR 50/way. If the number of passengers increases to 4-7 people, the total amount will be also grown to EUR 35, EUR 70 and EUR 55/way. One the one hand, you have a number over 8 up to 16, a bus is needed which costs EUR 85. On the other hand, in case more than 17 people arrive, we will organize a 17-53 seater coach for EUR 40/hour/person. All available prices include taxes, parking fees, and delay charges. Besides if you are done with the exact ticket type and number, please choose the date of transfer, fill the address of destination part even give the arrival time and flight number of your plane. Then fill some passenger data like your name, email address, phone number, or residential place. Finally, you will have the chance to select other programs optionally on spending your free time while staying in Budapest. What is the reason why we organize Airport Transfer Budapest? It's because of your satisfaction! The ‘Shuttles from Budapest’ assures you will be at the right time in each case for example, from the Pest side the shuttle transfer takes usually maximum 45 minutes and from the Buda side is no more than 1 hour to the Liszt Ferenc International Airport. Unfortunately, time is always going so quickly therefore in case of roadworks, traffic jams or accidents it could increase. How would you find your driver? Surely, he is waiting for you at the arrival place given in the booking form – check your email of the confirmation – with a name-plate in hands. After leaving the transit area you will gaze at several drivers and absolutely find your own one holding a board with your name on it. In that case, if no one is for you – almost impossible – please give a call to our hotline number mentioned in the confirmation letter. It is not a hundred percent the same driver will pick you up from the hotel in case purchasing a round trip. Inasmuch as more and more colleagues we have, we are always trying to ask polite and well-mannered drivers to perform their duties. So you do not need to find him, therefore, he is for you! One of the customers’ always problematic issues is the number of baggage they might take. Most of the cars have a large package, accommodating for large suitcases and hand luggage, too. However, please do not forget the number of passengers given in the booking form. Thus, space is depending on people. Of course, on request we are able to send a minivan instead of a standard car for the same price if you have extremely large packages, just let us know in advance possibly at the same time of sending the booking request. "We were a group of 8 looking for two private tours. One was half day city tour of Budapest and another was a whole day tour to Vienna. The Budapest city tour was first. It was excellent. The guide was super knowledgeable and the driver was safe. We saw every site and the tour was planned to maximize what we saw in a half day. The Vienna tour was memoriable and very informative. We had the same guide, who we were then comfortable with. Again, he really knew his stuff. Thank you for making our holiday unforgettable, we had a great time with YOU!!!" "A great tourist service…the one to trust and rely on for everyone who wants to visit Hungary. And thank you for our professional tourguide, he is efficient to arrange everything for you. Made us really feel very welcome in Budapest. Thank you all! Very easy booking online too"
"Good price and excellent service for anyone from the airport to the city. The car itself from the airport was clean, air conditioned, with a very good driver. The driver was waiting at the exit from customs as promised with a big clear sign. Punctual, reliable, no bargaining. Definitely use it!" "We are a family of four – three adults and one teenager – and we booked a full day private tour of the Danube bend. Our tourguide was prompt, knowledgeable and nice and gave us a great overview of the cities. He took us to all the places we wanted to see. We had a wonderful experience with him. He had amazing stories throughout our tour and took pictures of our family group in front of several of our favorite spots. We would definitely use them again!" As mentioned before, we need the exact transfer booking before 24 hours you need the tour. Last minute transfer could be also organised but not guaranteed. In this incomparable case, please call us instead of typing since each minute is essential to do the best. It is entirely without precedent that any demand has not been solved by the ‘Shuttles from Budapest’. All in all, you do not have to deal with other airport transfer opportunities, local buses struggling with many luggage through the city or using public transportation even being lost. Make your journey easier and more convenient away from being flustered. Travel with the ‘Shuttles from Budapest’ to get memorable experience given by Budapest.